How to create and use our Database? 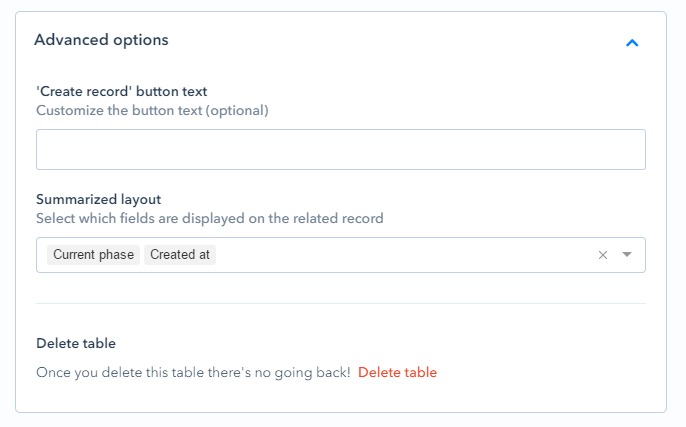 Get started with our database in two simple steps: (1) create a table, and (2) add records! The first step for using Pipefy's database is creating a database table. 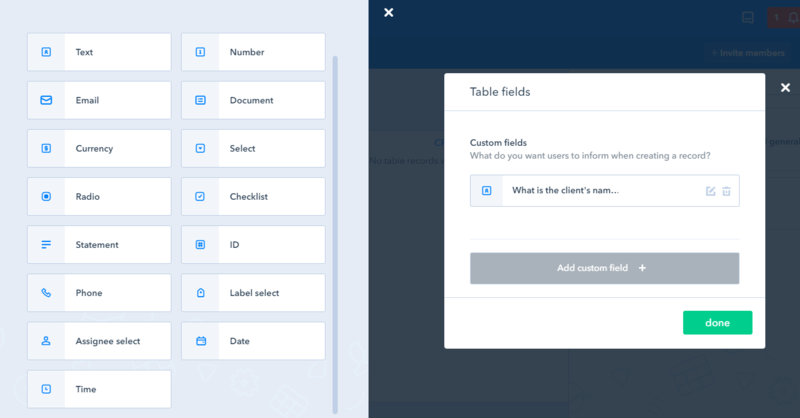 The fields you will configure on your table represent your information shelves, the place where the information you insert in your database records will be stored. 1. Enter the database section by clicking its icon on the header of the screen. 2. Then, click the ‘Add new table’-button. 3. Now the general settings of your brand new database pop up. 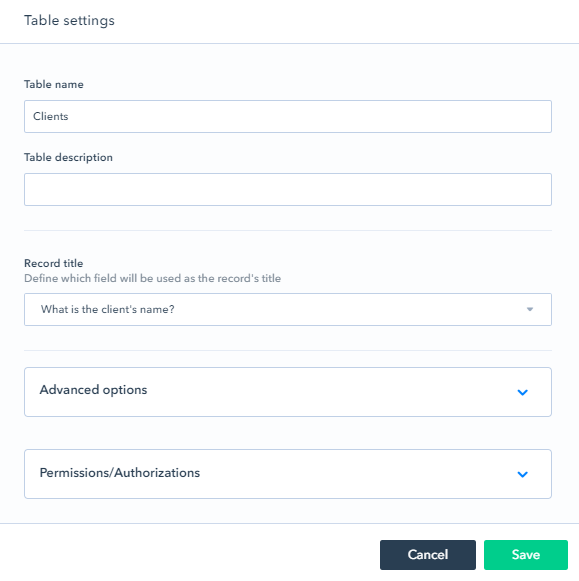 Give your database a name and a description here, choose which field will be used as the record's title, configure the advanced settings and determine permissions and authorization. 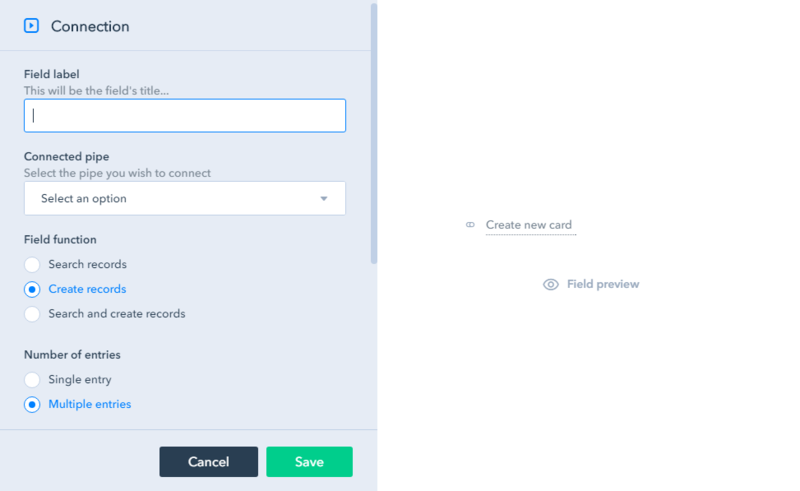 Moving on to the advanced options, you can change the text that will appear on your 'Create record' button, and if you created a connection field on your pipe that allows you to connect cards to this database - you can select which fields you wish to be displayed on your related record. 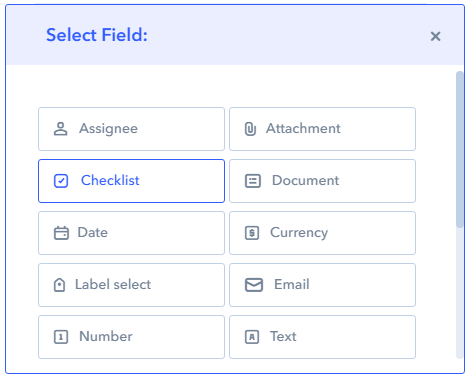 We'll get into creating and linking database records via our connection field later on. 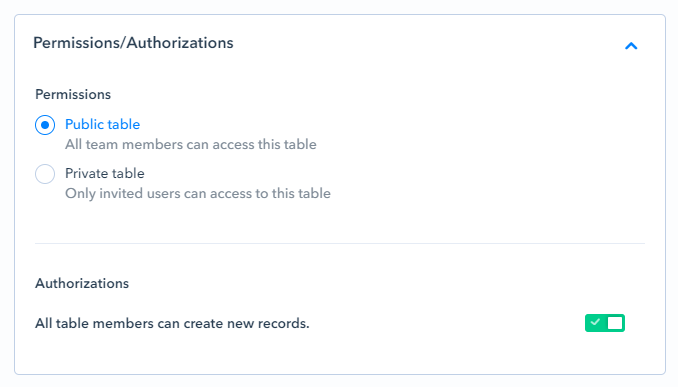 Permissions allow you to make your database either public or private, authorization determines if database members can create new records. Click 'Save' as soon as you're satisfied with your configurations. You will be redirected to your new, empty database. 4. The next step is adding the fields you’d like to input. Remember: the fields you insert here are going to represent the columns on your database. 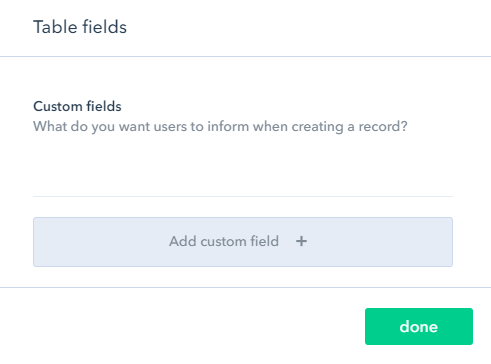 You can fill out the fields by creating new records. Every new created record will represent a row, but we'll get in to that later on. The following screen will pop up, from here you can start adding and editing fields. 5. Click 'Add custom field'. 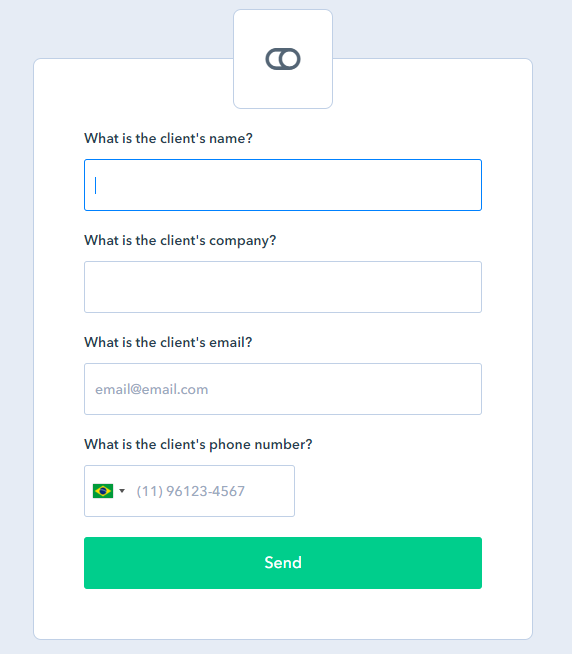 As you can see, I already have 1 field configured here: "What is the client's name?". When you select the field type, the following screen will pop up. Here you can edit the field. Fill out your field's label, and if you wish insert a description or help text. You can also enable or disable this field to be required, or opt for this field to be shown in minimal view. Like I mentioned before, the fields you configure here represent you database's columns. You can change the columns you want displayed. I'm only interested in the fields I configured - so the client's name, company, email address and phone number. 7. 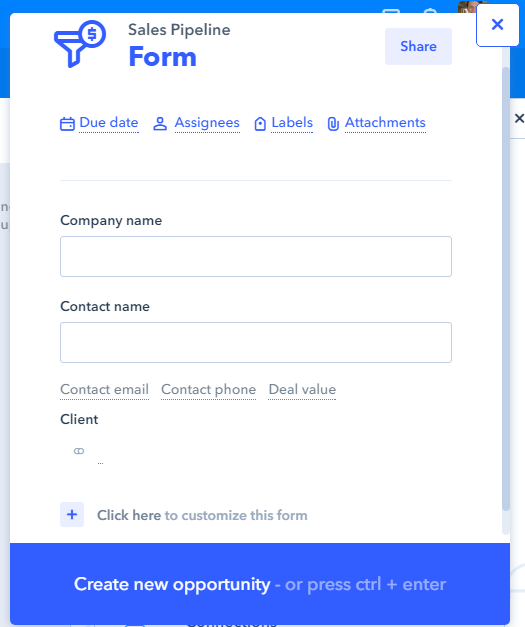 If you're satisfied with your database in its current state, you can start adding records by filling out the record form you created. 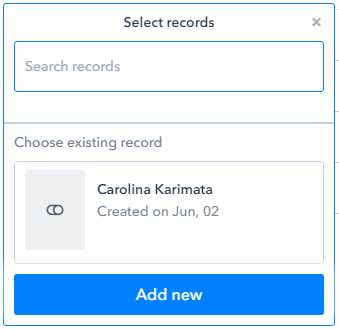 You can create a new record by clicking 'Create record' by generating records from a connection field or by making your database record form public (see step 2). By making your record form public and letting 'outsiders' fill it out. 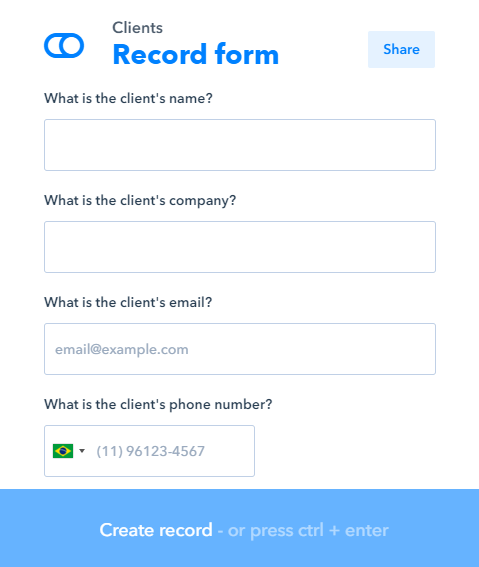 Fill out the requested information, click 'Create record' and you'll see a new row appearing on your database. In order to create new records from within a pipe, you first have to set up a connection field on your pipe. Let's assume that we have a sales pipeline set in place, and that we have a database where we store our clients. We want our sales pipeline and our database to work together by linking every client that enters our pipeline to a database record. For this case, we do so in the start form, meaning that every time we fill out the start form of our sales pipeline, we also create a database record. ,Open the pipe you want to connect to your database and locate the phase you want to start creating and/or linking database records from. In my case it's the sales pipeline, and I want to start creating/linking datebase records from within my start form, so I open it. First insert the label of your field, in my case it will be 'Create database record for this client.' Then, select the pipe, or database table you wish to connect. I am going to select the table 'Clients' I just created in step 1. The next two steps are regarding the function of your field. Select what you want to be able to do with your field: Search, Create or Search and create records. If you opt for Search, you will only be able to search for existing database records, and link them to your card. 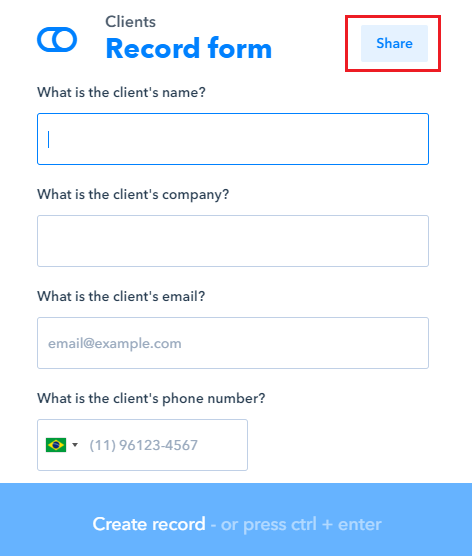 If you choose Create, on the other hand, you are only able to create new database records by filling out the record form within the pipe. I selected search and create so I'm able to either link an already existing client or create a brand new one. Afterwards, you decide if you want just a single database entry to be able to be linked, or multiple entries. I chose a single entry, because I want only 1 database record for each of my clients. 4. Start working! Make sure new potential customers enter into your sales pipeline and create new, or link existing, database records! You remember our public form feature, right? It allows you to publish your start form online via a shareable link and let 'outsiders' fill it out to create new cards. Check the 'Share start form' box, save the public URL we generated and share it with everybody you want to be able to create records! Now that you know all three ways of adding database records, it's time to start working with it! 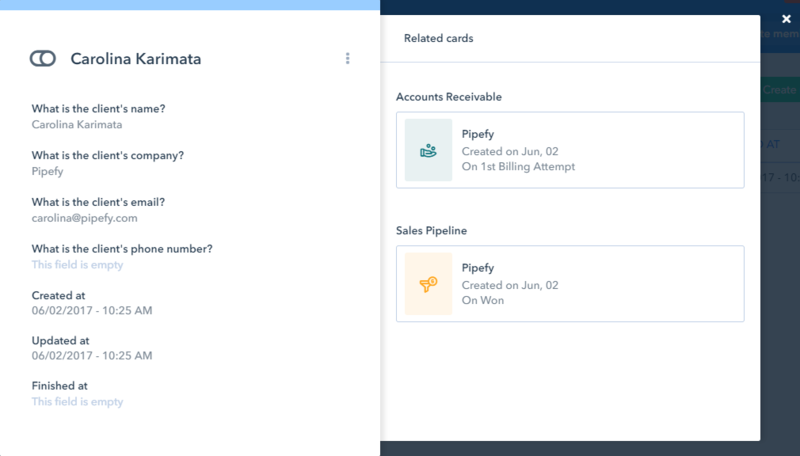 As you can see, I have one client named Carolina and we won her on our Sales Pipeline, meaning that we automatically created a card for her on our Accounts Receivable pipe. In your database, you can now see all cards that are related to a single client. How to control your inventory using a database?